Our little Lavender Araucana/Silky cross has been broody for ages. We tried everything to break her of her desire to sit on a clutch of eggs but we just couldn't. Finally, after having a day with no eggs laid (because she was hogging the nest) and seeing her sit on the nest even though it was empty, we gave in and have purchased 4 fertile eggs for her to try to hatch. We've moved her from the hen house and she is snuggled into a small doghouse that I reclaimed from a roadside rubbish collection inside Mr W's wooden cubby house. Not that I am counting my chickens before they hatch... but hopefully in a few weeks we'll have some lovely new French Wheaton Maran chicks. Here is a pic of the eggs before we put them under Toetoe. 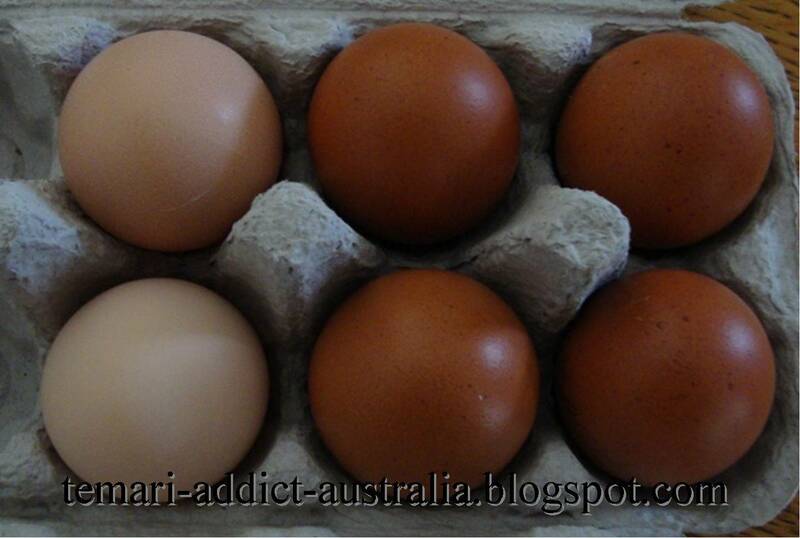 See how gorgeously dark the Maran eggs are compared to the eggs laid by our hens! They should hatch around the last day of the month. Fingers crossed!!! 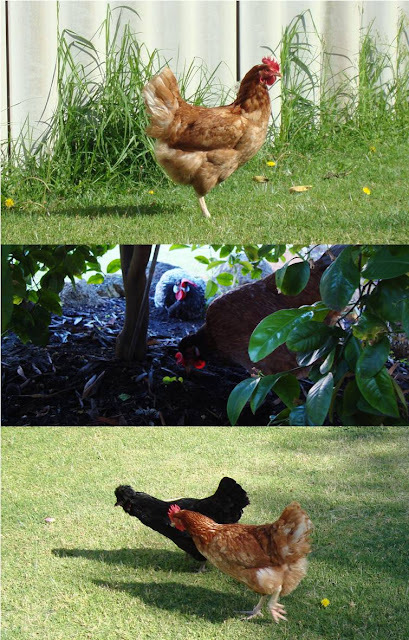 While Toetoe is locked away in the broody box everyone else had a morning of free-ranging around the garden. They all had a pecking and scratching good time! Aaaaaarrrrrggggh! What a big week! ... all beef patties... and a coronary!